Welcome to Muley Monday of The Rich Outdoors. Where every Monday we talk Mule deer hunting and tell awesome mule deer stories. Today’s guests were actually on last year for a Wapiti Wednesday. Zach and Jeff have a cool story of meeting and hunting together last year on a great elk tag they drew the year before. 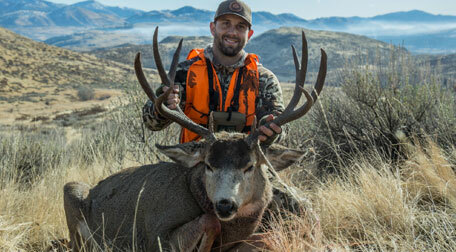 This time around, they join me to talk about some epic Mule Deer hunting that they had last year and they’re new found passion for high country bucks. I love talking to Jeff and Zach as they are both humble and know how to laugh. We had a great time chatting about both of there hunts from 2017 and all of the high, lows, and lessons learned. 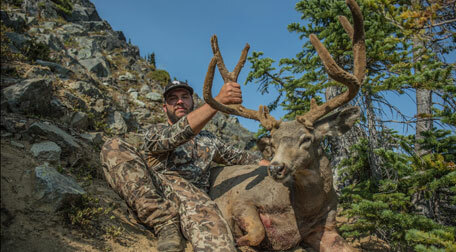 This year the two of them plan to spend some time in the high country of the Northwest again in search of OTC bucks and are planning on filming the hunt from scouting clear through to the hunt. They have put together a pretty awesome trailer or sneak peek into what they are working on. You can check it out here. Whats up killers, you guys hear me talk about goHUNT all the time, but now is your chance to try it out for Free. GoHunt is running a limited time Free Trial. You will get full access to everything in goHUNT Insider for one month. You get full access to the best draw odds and the best draw odds system available. Full access to all of the insider gear and strategy articles, and much more. Now is your chance to test drive the awesome tool that everyone is talking about. This is perfect timing if you ended up not drawing any tags because now you can get free access to research and find some OTC hunts that still have serious potential. I have more tags than I have time for this year and that is all because of goHUNT, I highly recommend you take advantage of this limited time offer and sign up for your Free Trial. In order to get your Free Trial you must go to www.gohunt.com/tro there is no code so you have to GO HERE.